Staff at Animal Ocean spotted an injured African Penguin resting inside Hout Bay harbour, yesterday morning. 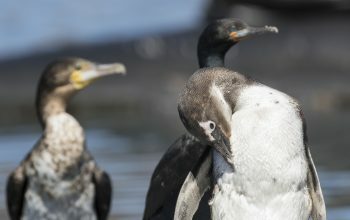 The young bird, which is called a “Blue”, was resting with other seabirds such as Cape Cormorants and White Breasted Cormorants. We think that this birds leg was broken by an encounter with a Cape Fur seal, who are known to play and kill African Penguins. We returned this morning to capture the penguin and send it off the rehabilitation center at SANCCOB. The penguin had a seriously damage leg and would not of survived in the wild. Rob Caine and Steve Benjamin headed out to fetch the penguin. They got so close that Rob easily and gently lifted the bird off its resting place and placed it in the boat. African Penguins are critically endangered and every bird is important for to survival of the species. Why are African Penguins so endangered ? These birds need to nest in quiet places away from predators, they are vulnerable on land as the cant fly or flee. African Penguins choose rocky island to rest and breed, this provides them with security and seclusion. With so many birds in one place their poop builds up and is called guano, this was seriously valuable in the 1800’s. 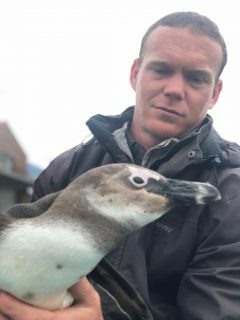 Ship can and stripped the island of guano and killed most of the penguins over time through disturbance, direct destruction and removal of nesting conditions. Penguins need to be able to feed their chicks. Without enough fish to eat within a suitable distance (<30km) from the nest, they just can’t feed themselves and their young. We have overfished the main food species of these birds, Pilchards and Anchovies. African Penguins can’t avoid pollution, especially at the surface. If they come into contact with industrial oils, like those released in an oil spill, they loose their waterproofing. The birds will preen to try clean themselves, ingest oil and die. 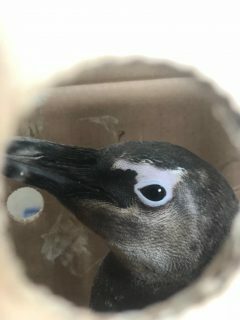 The Southern African Foundation for the Conservation of Coastal Birds (SANCCOB) is an international body dedicated to seabird rehabilitation, and running for more than 50 years. If anyone finds an injured seabird, they are the ones to call. SANCCOB took in between 200 and 2,000 birds per year during 1969–1993, almost all of which were African penguins. Since 1983, SANCCOB has handled more than 35,000 oiled African penguins. The vast majority of these penguins were oiled in the Apollo Sea spill (1994) and the Treasure spill (2000), which also meant the evacuation of 19,500 un-oiled birds. That means that almost a quarter of the total population of African Penguins was handled at that time. From 1990 to 2005, an average of 750 oiled penguins have been admitted annually from oiling events other than these two spills. 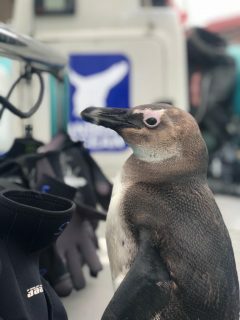 In total, SANCCOB has handled over 85,000 seabirds since its inception.